I don't often wear a smokey eye - it suits me well enough, but generally I prefer a cleaner eye look. In the course of testing out makeup, though, I sometimes have to go in an unplanned route with my makeup for the day. 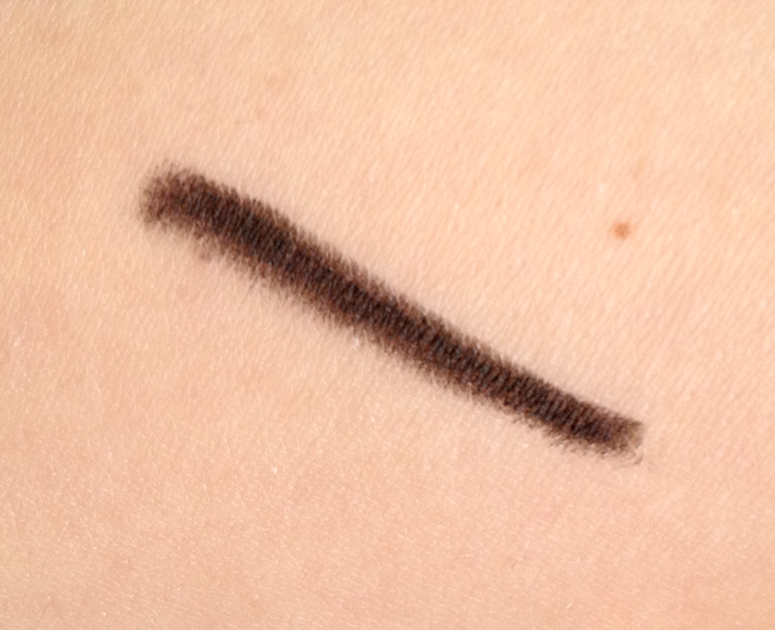 Such was the case with the Marcelle Kajal Kohl Liner, which was generously sent to me for review. I saw on the label and on the website that this was supposed to be waterproof, and last 6 hours on the waterline. Since I'm always looking for something that will tough it out on my finicky water line, I had high hopes for this little guy. 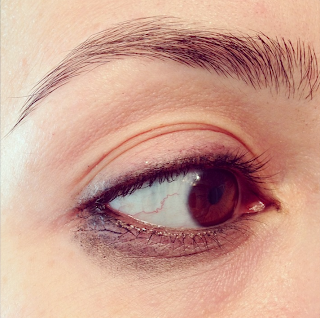 I know that traditional kajal liners generally have good staying power, but that they are notoriously NOT clean. They smudge easily, which is part of their appeal - layered thickly around the eyes and blown out, they lend an immediate exotic look. A pass using the side, then smudged out with my finger. Due to its creaminess, however, it is not smudge-proof, especially when combined with the warmth and natural oils of the skin around the eye. You need to either be very precise and apply this to just the waterline, or else embrace the smudginess and commit to a fully smoked out look. As you can see on the picture above, I applied this on my waterline, then tightlined my upper lid and worked it through the top lash roots. It started transferring under my eye soon after, and I suspect that was mostly from what was on my upper lashline. So I did the only logical thing - added more! I cleaned up the debris and buffed out the line with my faux mini 239 (AKA the 1/4 Loew Cornell Maxine's Mop). 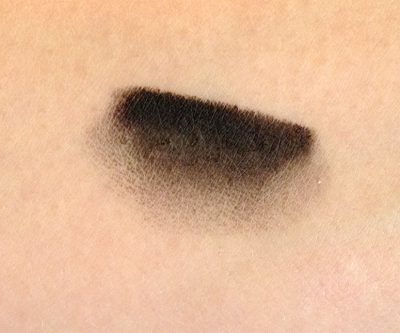 Then I added some dark green eyeshadow to seal it in place and add some dimension to the black. Simple, easy to do, day-appropriate, wearable. Best of all, there was no further smudging. Availability: At most pharmacies, as well as the Marcelle website. Price is 11.95$ CAD. The website also offers free shipping within Canada on purchases of 25$, and to the US for purchases of 50$. 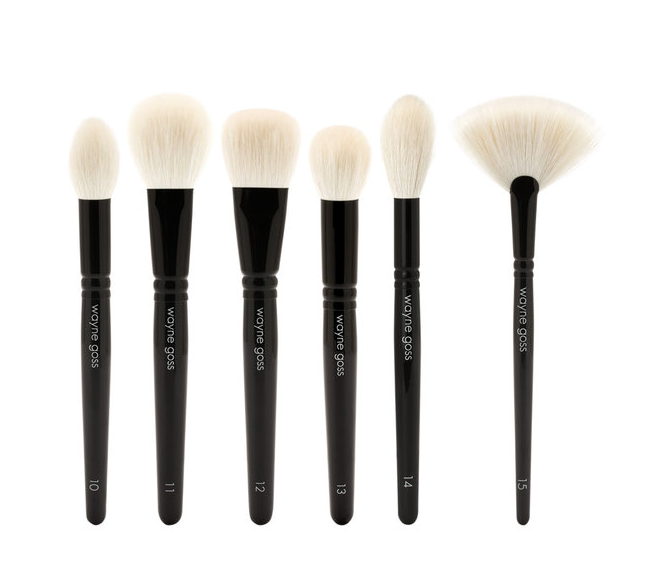 Pros: Very pigmented, creamy, easily to apply. 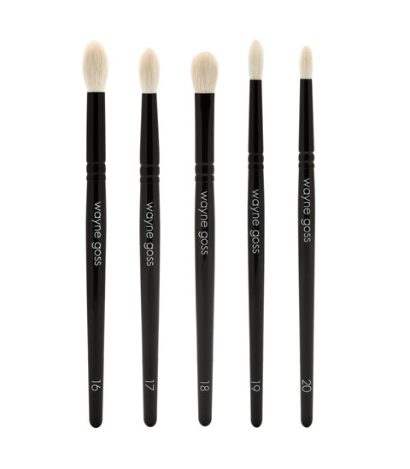 Pointy tip and wide side makes it easy to get both a precise line and a thicker application. 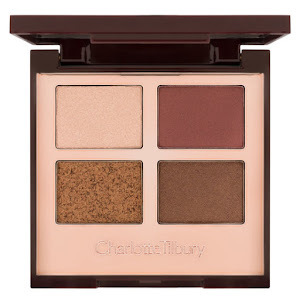 Fantastic base for a smokey eye. Cons: Smudges easily, so it's best when smoked out. It's not waterproof up to 6 hours on me unless I layer it with powder, but like I said - mutant tear ducts. YMMV. Ah! It's such a pain, isn't it? I have yet to find a pencil liner that my eyes don't mock with their mocking gaze. And honestly, with contacts it's not like I tend to wear much on my waterline anyway. And thank you! It was one of those "out of the house in five minutes, WORK THE SMUDGE DAMMIT" sort of deals. I was using that shade from a Revlon quad for the first time, so it could have all gone to pot, lol!